This is my Auroral Chorus website. This is page level TWO - 'index.html' is page level one (click here) and is the best way to navigate my large natural ELF-VLF radio website is to go up to the AURORAL CHORUS TOP LEVEL PAGE at: Natural Radio Top Page). As such you will get to the top page where I will introduce you to the sounds of Earth's fascinating, naturally-occurring audio-frequency radio signals (between about 300 Hz and 12+ kHz). 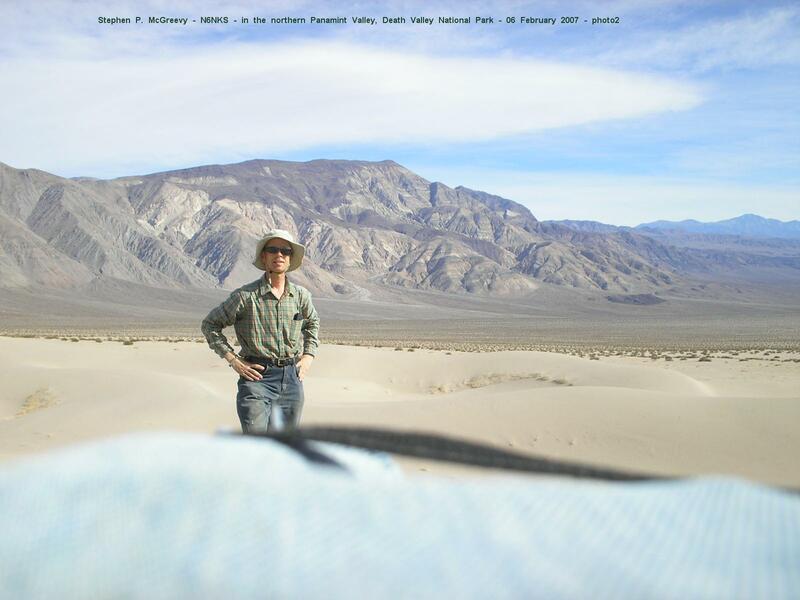 I am Stephen P. McGreevy, a sound recordist of this beautiful-sounding electromagnetic phenomena of nature and take delight in presenting unaltered field-recordings of "Natural VLF Radio" signals of Earth - the fascinating radio sounds of space weather and The Music of the Magnetosphere! MP3 AUDIO ALBUMS FILES - MANY PAGES/ALBUMS (SEVEN ELF-VLF ALBUMS of Spectacular natural-radio audio files and a lot of radio-DX recordings, too). This website (this is page level two - 'index.html' is page level one and the best way to navigate my large natural ELF-VLF radio website is to go up to the AURORAL CHORUS TOP LEVEL PAGE at: Natural Radio Top Page) will introduce you to the sounds of Earth's fascinating, naturally-occurring audio-frequency radio signals (between about 300 Hz and 12 kHz). I am a sound recordist of this beautiful-sounding phenomena of nature and take delight in presenting unaltered field-recordings of "Natural VLF Radio" signals of Earth - the fascinating radio sounds of space weather and The Music of the Magnetosphere. Stormy 'Space Weather' spawns aurora and gorgeous natural VLF radio sounds. 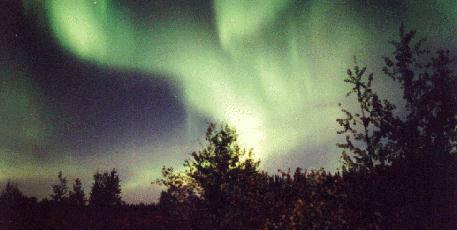 Aurora photo taken by Steve McGreevy in northern Manitoba, Canada on 23 August 1996. Another aurora photo of red and green aurora taken by Steve McGreevy in northern Alberta, Canada on 13 August 2000 at 0200 MDT. 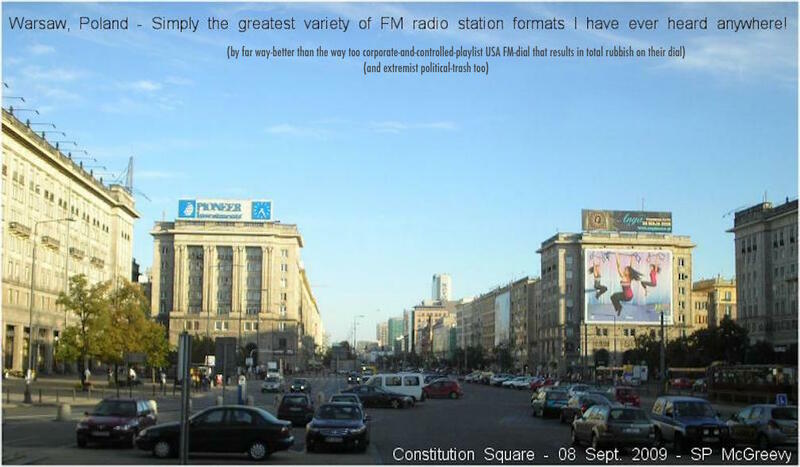 Q: What Is Natural Radio? A: Natural VLF (very-low-frequency) Radio - also called "Natural Radio" - are audio-frequency radio signals of Earth in the approximately 200 Hz to beyond 10,000 Hz (10 kHz) spectrum which are not man-made but occur naturally in nature. The most-spectacular phenomena are heard between 400 Hz and 5 kHz. 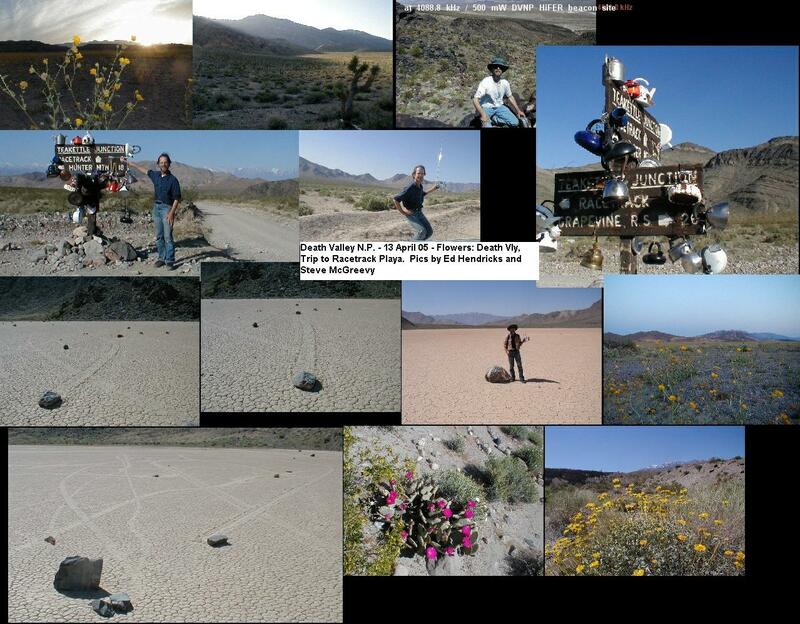 Science and SoundScapes: Interest in naturally-occurring ELF/VLF radio phenomena such as "whistlers" and "chorus" has enjoyed a rapid resurgence amongst all kinds of people - from hobbyists, musicians, nature lovers, amateur and professional scientists, and so on. 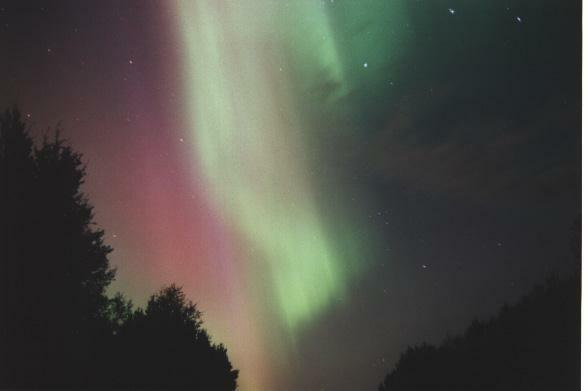 The beauty of the sounds of Earth's magnetosphere and associated space-weather has broad appeal - listen to many of the audio files on this site and you'll see why. Research via orbiting space-probes by professional researchers continues. Ground-based monitoring of natural radio is very popular now) notably amongst amateur hobbyists world-wide) thanks to easy availability of sensitive receiving equipment. As Solar-Cycle 23 is at its peak (during the years 2000 to 2002), and increased solar-activity has been spawning great amounts VLF phenomena here on Earth, as it is activity on the Sun and its Solar Wind (space-weather) that help create the great variety of VLF phenomena that we can monitor - whether for research and experimentation, or simply for the sheer enjoyment of listening to yet another realm of nature's beauty! Most importantly, a great many people who are not really "radio nuts"or "techies" but who love nature and listening to interesting sounds have listened to Natural Radio either live or recorded and have called it the "music of Earth itself." To listen and enjoy Natural Radio, the audio-frequency radio waves must be converted directly to sound frequencies so we can listen to them with our ears. This is what my receiving equipment does, and the enjoyment of collecting a large recorded library of these phenomena (beginning in June 1989) is my foremost interest as an audio recordist. Lightning storms, Earth's magnetic-field , and the Aurora Borealis and Australis (Northern & Southern Lights) all produce an amazing variety of electromagnetic "sounds," such as sferics (lightning-stroke static), tweeks, Whistlers of countless variety, the incredible "Chorus" chirping, barking and squawking radio "sounds" produced by the the Sun's solar-wind hitting Earth's magnetic-field; various kinds of "Hiss" bizzarre "wavering-tone" emissions, and other endless variety of fascinating radio sounds to listen to. - The audio files on www.spaceweathersounds.com site tell all. 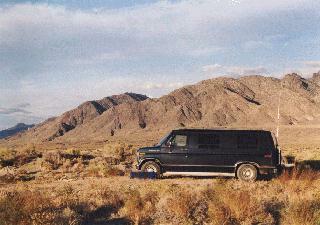 This photo is of my van and WR-4b receiver antenna at a VLF listening site in the Black Rock Desert in northwestern Nevada, 22 September 1996. 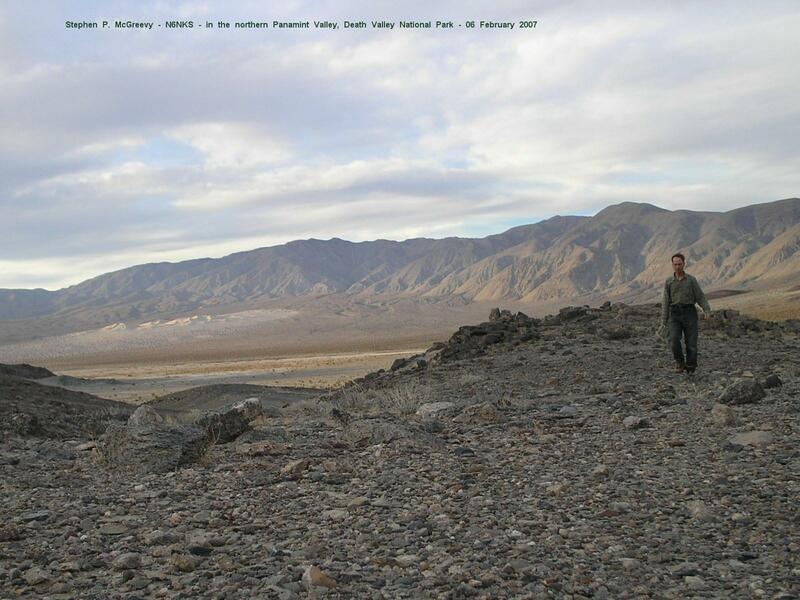 Remote desert locations are far from sources of electrical interference (such as AC power-lines) and are also great listening places, especially above 40 degrees north (geographic) latitude. The WR-4b receiver's vertical whip antenna of 9 feet (2.6 m) in length is attached to van on its rear door. This is the VLF receiving system and expedition "accomodation" I have used for the past 11 years. Natural VLF radio signals tell a great deal of what is happening with Earth's "near-space weather," that is, what is going on between the Sun and Earth. Invisible weather to our eyes but just as wild and stormy at times as the weather "down here." To find out about space weather happening at any given moment, visit www.spaceweather.com or the NOAA Today's Space Weather site. 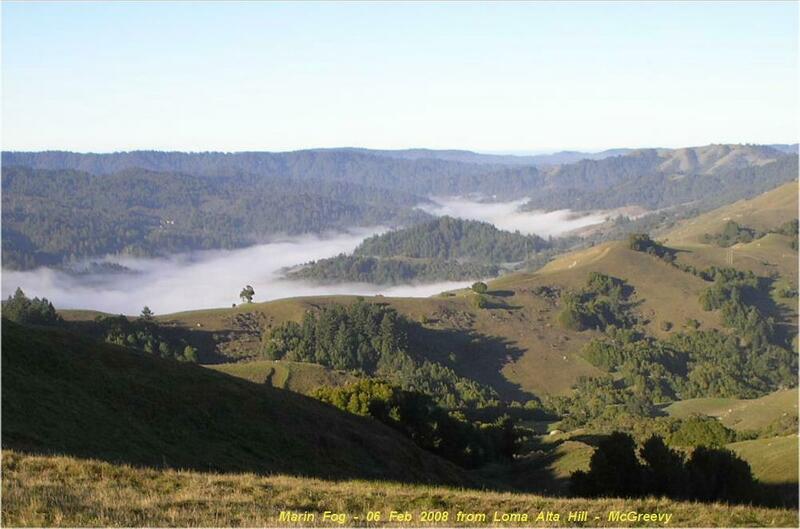 Many listeners to natural VLF radio note how the majority of these recordings of Earth's beautiful Natural VLF Radio sounds closely resemble biological/vocal sounds made by birds, frogs, whales, seals, etc. (or sci-fi sound effects). As we begin a new Solar-Cycle (#23) and see increasing numbers of sunspots and associated magnetic-storms and disturbances here on Earth, we're already seeing an upsurge in naturally-occurring VLF phenomena. Because we are now in the sunspot peak (over the years 2000 - 2002), we're entering a fabulous time once again to listen to radio signals below 10 kHz. Audio-files of great 1996 - 2016 Natural ELF/VLF Radio recordings and the sounds of space weather and Earth's magnetosphere in .WAV and .MP3 format are on this site on the page link right above. 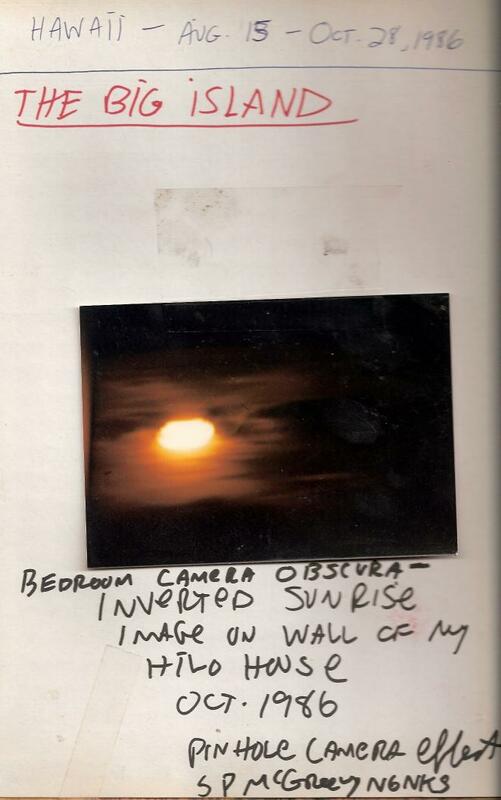 On that page and other pages linked from it, there are also STEREO files. All of the audio files available for downloading and public use provided credit is given (please). The audio files tell (more than a million words would) all about the incredable variety of natural radio signals that can be monitored in the audio-frequency radio spectrum. Hearing is believing! In addition to the audio files page on this site, there is another webpage of older audio files I have recorded residing on the University of Iowa Plasma Wave Group server. 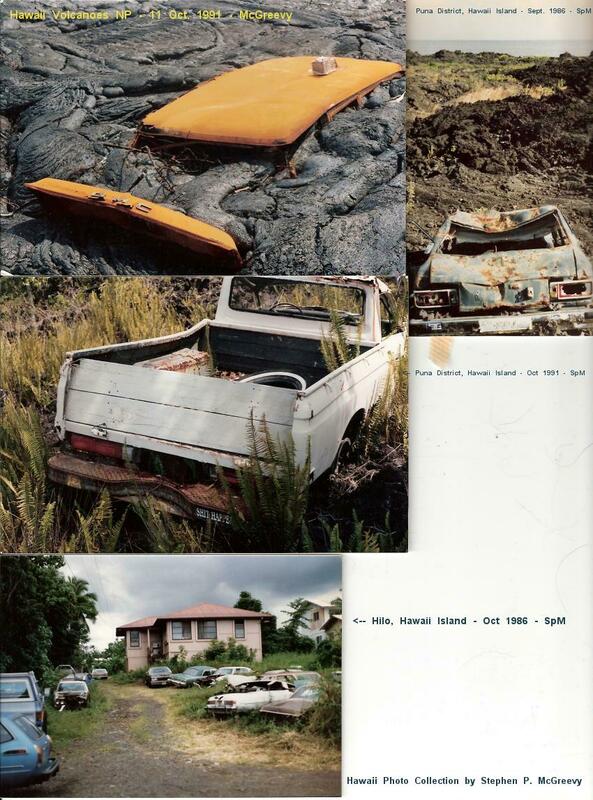 The VLF Story: A story of my beginnings in VLF listening back in 1989 and subsequent travels to obtain my recordings. Includes a brief history of professional and amateur VLF research and easy-to-understand theory about the causes of these phenomena. Travels to Great VLF Listening Spots. 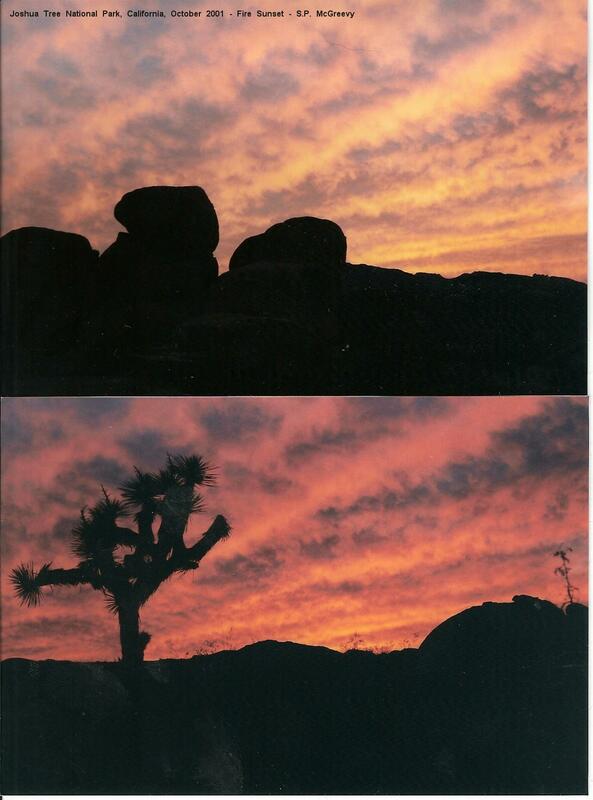 A travelogue, with photographs, of beautiful places I (and others) have traveled to listen to Natural Radio away from electrical interference. Enjoy! 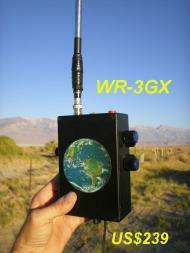 WR-3 VLF Receiver Listening Guide: A good source to learn more about natural radio. Download and listen to Natural Radio recordings in hi-resolution .WAV file format I have placed at the University of Iowa Plasma Wave Physics web site. 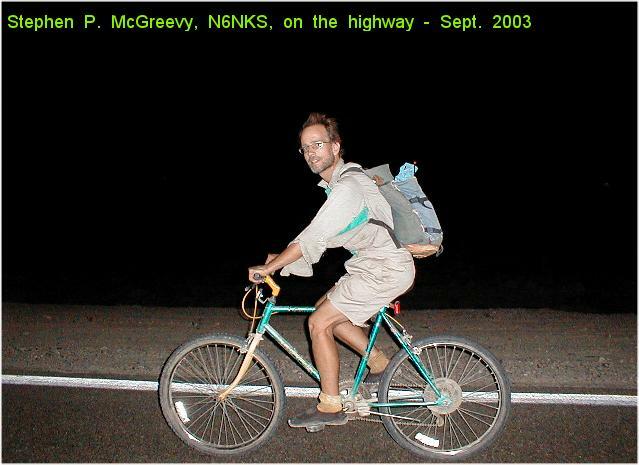 McGreevy Ground-based VLF Recordings. Are you a do-it-yourself electronics-project builder? Check out the McGreevyBBB-4 "Bare Bones Basic" Receiver page. 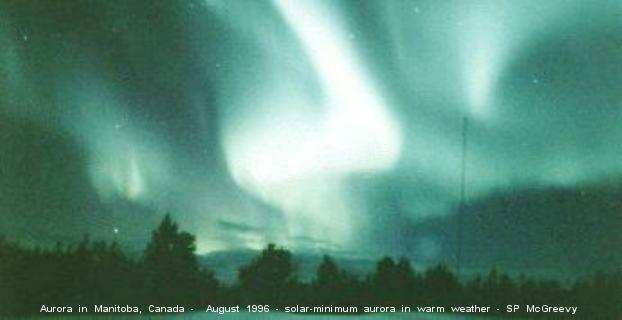 Another photo of Manitoba aurora - 29 August 1996. 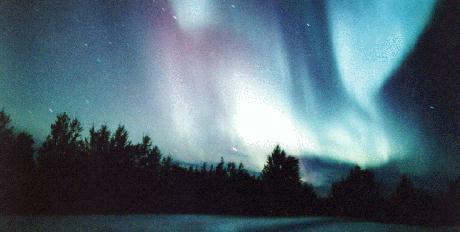 Places where the beautiful Northern Lights can be seen (i.e. northern U.S. states, all of Canada and Alaska, northern Europe, [Iceland (especially!]) are supurb places also to listen to natural radio. This website is written in simple HTML for all to be able to view with ease. This website is my GIFT TO THE WORLD! To ensure it stays alive if you value this site, please MIRROR this site on your own server to keep it in perpetuity. Thank you. NOTHING IS COPYRIGHTED HEREIN - USE ALL DATA AS YOU LIKE - NO PERMISSION NEEDED. SpM. 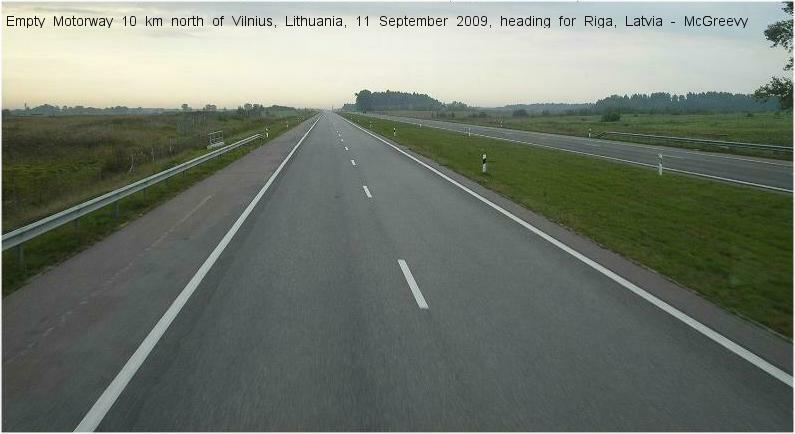 15 March 2010. 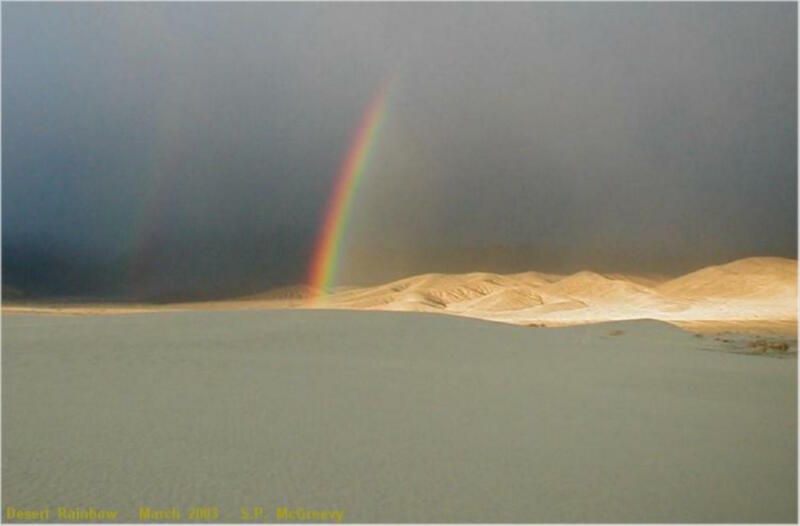 The University of the Electromagnetic Wave - Inyo Branch. A Part of the Cosmic Continuum of Radio-Knowledge.